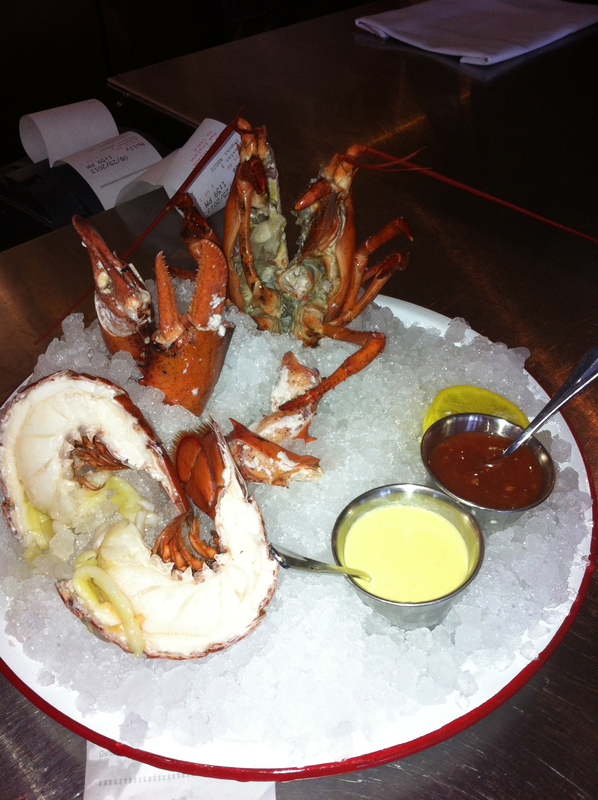 Most foodies will agree with this statement – Cimarusti has the finest seafood restaurant, Providence, in Los Angeles. Now he also serves surperb New England fare in a more casual setting. About three years ago, he started telling friends that he wanted to recreate an old-school seafood shack in Los Angeles. As a young boy, he used to fish with his grandfather Ted, while visiting his grandparents in Matunick, Rhode Island. They would fish all day and clean and filet the catch before going home to Grandma Connie to enjoy a fresh fish supper. While securing space in West Hollywood, Cimarusti gathered a group of his Providence culinary team, including Chef Sam Baxter to replicate the lobster rolls, New England, Manhattan and Rhode Island chowders, and fried clams with or without bellies – all comfort food for Cimarusti. 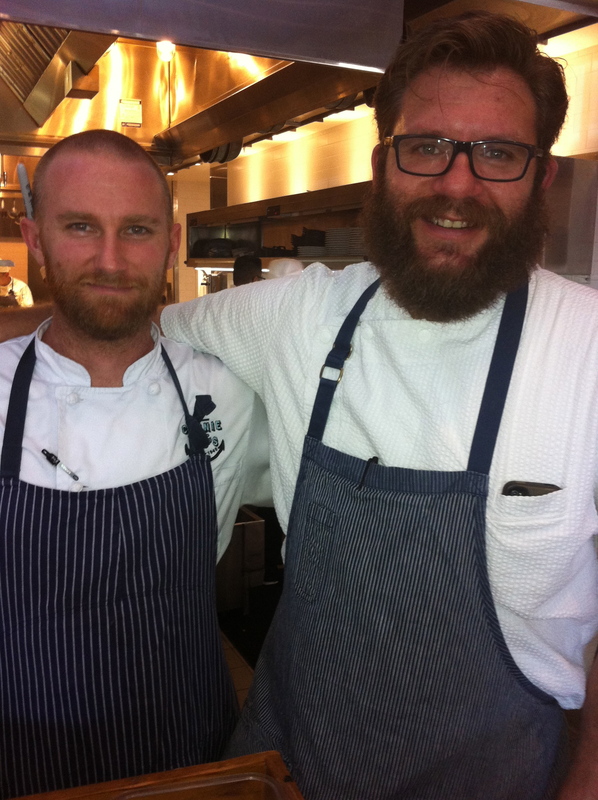 Baxter and Cimarusti have worked with each other since their Water Grill days. Both take the freshest seafood and enhance the dish with a light touch to bring out the simple flavors. Partners in Connie and Ted’s include Craig Nickoloff, who with his father founded Claim Jumper, and Donato Poto, co-owner and General Manager of Providence. Our culinary adventure began with a half-dozen oysters on the half shell. The platter of oysters had a fresh, ocean flavor with a smooth texture. We tried Kumamoto from Washington, Matunuck from Rhode Island, Little Island from Maine and Beau Soliel from New Brunswick. All paired nicely with a craft beer and glass of Rose. There are a variety of bottled and draft craft beers that range from $6 to $13. They also serve 750 ML size beer bottles including Allagash, Curieux and Bourbon barrel aged ale ranging from $16 to $40. Some excellent wines are served by the glass and bottle. Most are from California, Washington, Oregon and France. For lunch, I scoured the menu for a simple grilled fish sandwich. Our server Molly informed me that the only fish sandwich was a batter-dipped cod with fries or slaw. Since I’m not a fan of fried fish, I asked Molly if the chef could grill a nice piece of swordfish for me. The servers are genuinely excited about the food and are warm, professional and polite. The chef accommodated my request with a tender and pristine piece of swordfish placed it between a housemade bun with shredded lettuce, crunchy pickles and tartar sauce. The side of slaw that accompanied my sandwich was not too saucy and had the right amount of vinegar. My husband ordered the lobster roll. Molly asked if he wanted it hot or cold. Since the temperature outside was in the 90s, he opted for a cold roll. It arrived on the smaller side with crispy French fries. The house-made roll was filled with large pieces of fresh lobster dressed with mayonnaise and enhanced with parsley and multiple squeezes of lemon juice. It was very satisfying. For two hours, we had a leisurely and nearly perfect meal. Tables near us were enjoying peeky toe crab cakes, a variety of salads, and soft shell clam steamers swimming in drawn butter and clam broth. Some of the favorite sides include hot buttered rolls fresh out of the oven in a circular pan, wilted spinach with bacon, homemade dill pickles, and macaroni & cheese. For those looking for “turf, not surf”, Chef Sam makes a hook burger with four-year aged cheddar cheese, pickles, onions, lettuce, thousand island dressing and an option of Nauske’s bacon. During dinner, they serve a bone-in rib eye and bone-in filet mignon. If you are adventurous, order the spiny sea urchin to spread on buttered toast. 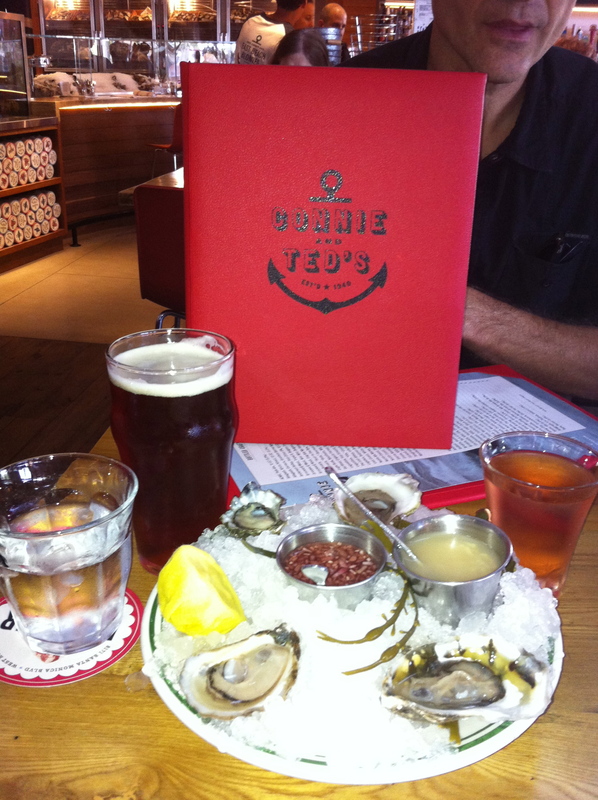 They also serve oyster shooters for $5 with or without vodka. We finished our lunch with a slice of pastry chef David Rodriguez’ flavorful peach pie with a generous scoop of vanilla ice cream. Some restaurants have a learning curve before they succeed. Connie and Ted’s is run by pros with years of experience who have created a casual seafood restaurant with high standards, the first of its kind in West Hollywood. 8171 Santa Monica Blvd. (323)848-CRAB.